It’s the dubious distinction of thirty-year-old Willa Jackson to hail from a fine old Southern family of means that met with financial ruin generations ago. The Blue Ridge Madam—built by Willa’s great-great-grandfather and once the finest home in Walls of Water, North Carolina—has stood for years as a monument to misfortune and scandal. Willa has lately learned that an old classmate—socialite Paxton Osgood—has restored the house to its former glory, with plans to turn it into a top-flight inn. But when a skeleton is found buried beneath the property’s lone peach tree, long-kept secrets come to light, accompanied by a spate of strange occurrences throughout the town. Thrust together in an unlikely friendship, united by a full-blooded mystery, Willa and Paxton must confront the passions and betrayals that once bound their families—and uncover the truths that have transcended time to touch the hearts of the living. Just recently, some girl friends from the book club and I started having our own girls’ night out. They’re usually just dinner and some drinks, and a night of girl talk, which isn’t really different when we’re with the other boys except that we get to talk about the boys sometimes because none of them are there when we’re on a night out. :P Anyway, it’s becoming one of those sort of impromptu things that I’m really starting to like, because a girl must always have time for her girl friends, right? I remember that I actually finished reading Sarah Addison Allen’s The Peach Keeper on the afternoon before our first girls’ night out last month. 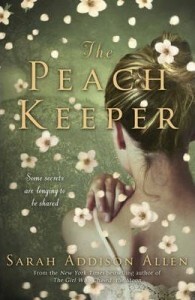 I find it quite fitting because The Peach Keeper is a story of two women who were friends from years ago and were fiercely loyal to each other, and their granddaughters who are not friends, but are drawn together because of a certain house history. There’s romance, mystery and magic realism that makes SAA’s fourth book just like her old ones, but also a little different, in a good way. I’ve read mixed reviews about this book, so I wasn’t really sure if I was going to like it as much as I liked Garden Spells or The Sugar Queen. There’s still that comfort-read feel in this Sarah Addison Allen book, and the magic realism, as I mentioned, but the mystery is an entirely new thing. I felt that there was more going on in this book, so it took me a while to read it but then I fell in love with the characters and their stories soon after. 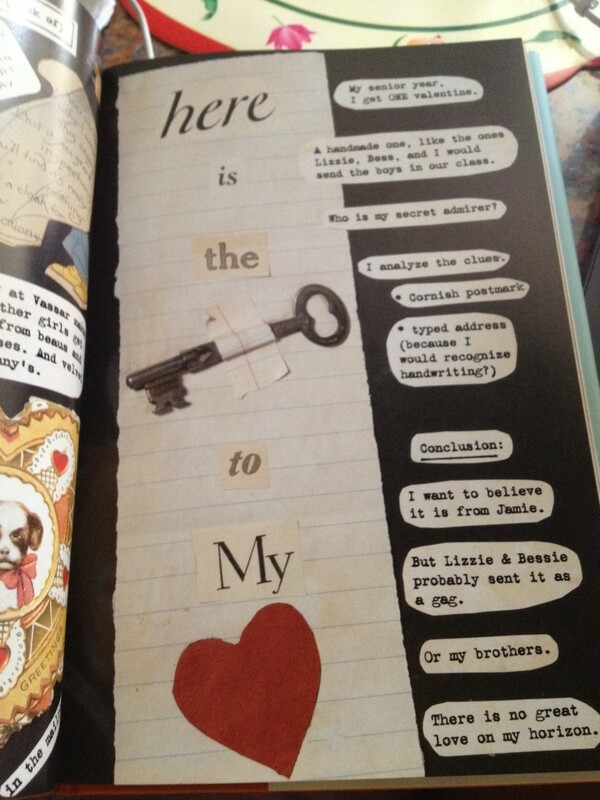 My favorite part of this book would have to be Paxton and Willa’s “unlikely” friendship. I liked how each of them was described, with their own problems and faults, and how they ended up being on each other’s side. I liked how this developed, how they weren’t friends before even if they knew each other from way back and then they all became important in each other’s lives later on. There’s something about a well-written friendship that really gets to me, and I am reminded of the friendships that I have made now. Because we’re connected, as women. It’s like a spiderweb. If one part of that web vibrates, if there’s trouble, we all know it. But most of the time, we’re just too scared or selfish or insecure to help. But if we don’t help each other, who will? 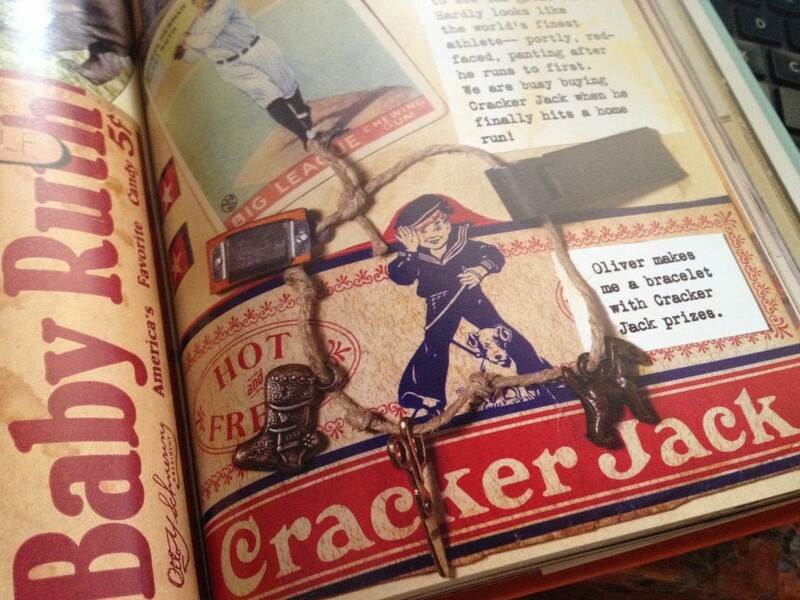 From the author of the “New York Times” Notable Book, “Jackie by Josie,” comes a spirited, visually lush, and stunning novel, inspired by the art of scrapbooking and told through a kaleidoscopic array of vintage postcards, letters, magazine ads, ticket stubs, catalog pages, fabric swatches, candy wrappers, fashion spreads, menus, and more, starring an unforgettable heroine and set in the burgeoning bohemian culture of the 1920s. So it’s not as pretty, but it serves pretty well as my own memory bank. 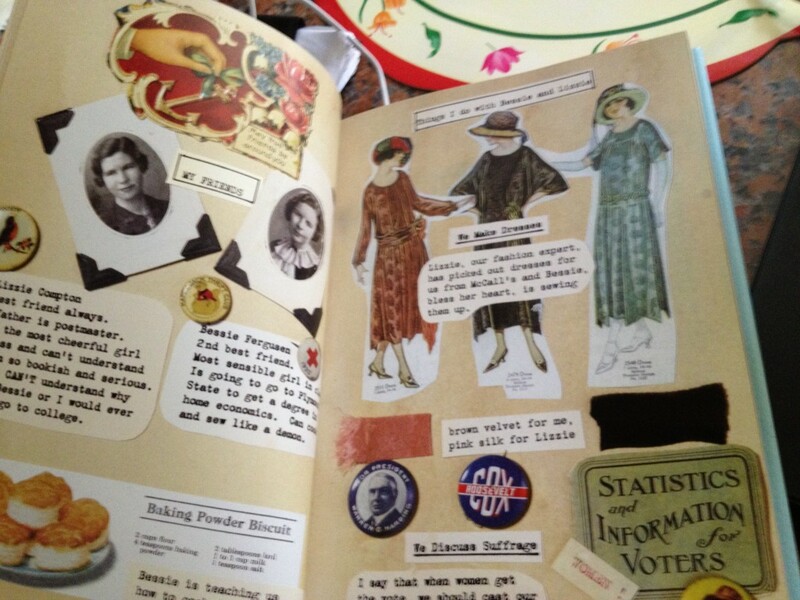 That’s pretty much why I was delighted to receive The Scrapbook of Frankie Pratt by Caroline Preston from one of my co-moderators in our book club on my 26th birthday (Thanks, Kuya Doni!). I had no idea what the book was about, but looking at the first few pages, I knew I was going to like this if only for the visual treat that it has. 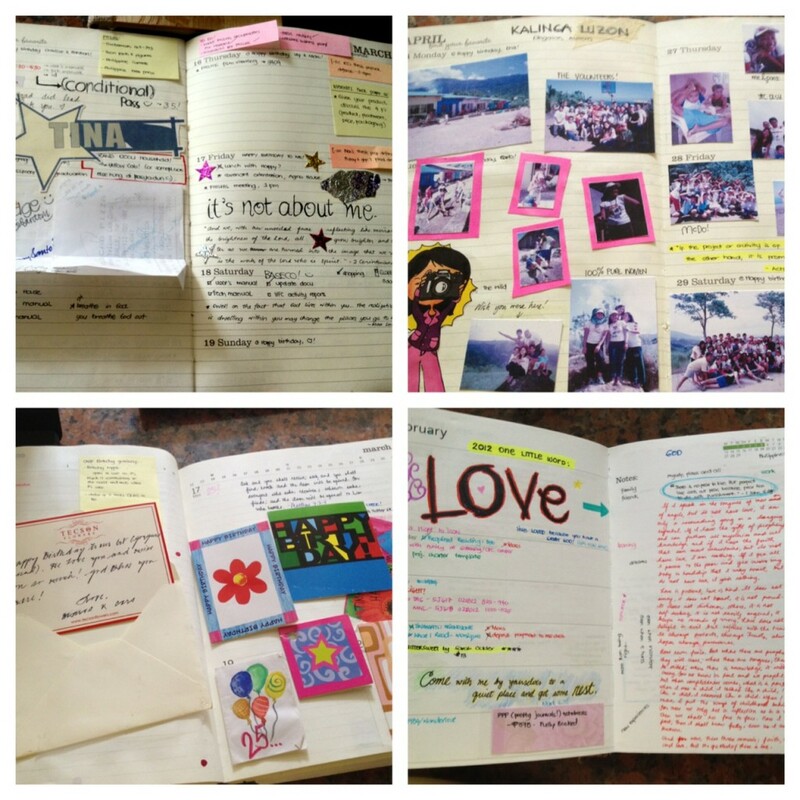 If I can’t make pretty scrapbook pages, then I would live vicariously through others’, even if it is from a fictional character. 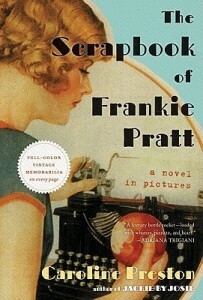 The Scrapbook of Frankie Pratt tells of a story of Frances Pratt, who received a scrapbook and her father’s old Corona typewriter as a high school graduation present. In here she documents her summer after high school where she decides to forgo a college scholarship to help her mom out, but she is smitten by an older man. Her mom finds a way to get her to college to keep her out of the influence of her unsuitable suitor, and Frankie finds her world opening up to more possibilities than she can imagine. We follow Frankie’s adventures in college and in her meeting Vassar alumna Edna St. Vincent Millay, who inspires Frankie to go to New York to pursue her dreams. 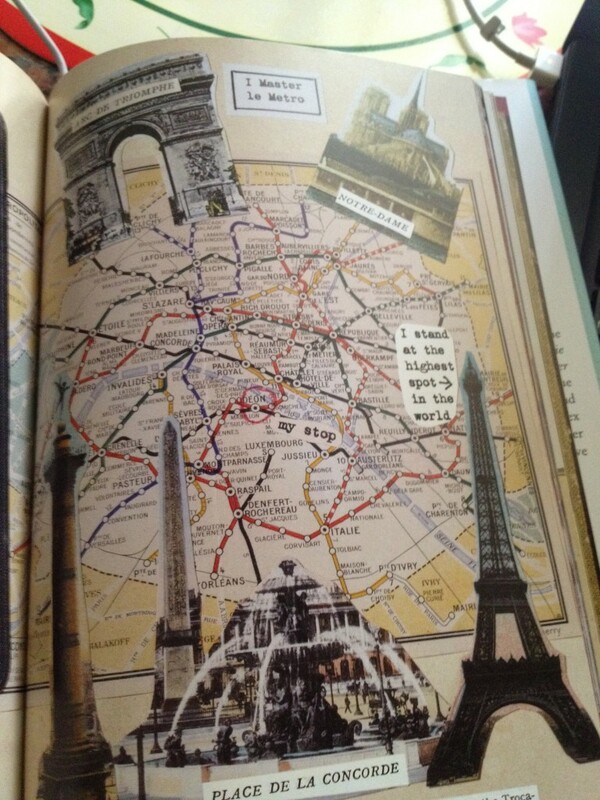 But when heartbreak finds her there, she sets sail to Paris to make it on her own. All Frankie wants is to find herself and the love of her life, but will she ever find it when she gets called home to be with her sick mother? Can you imagine how much effort the author went through for each and every page of this book? 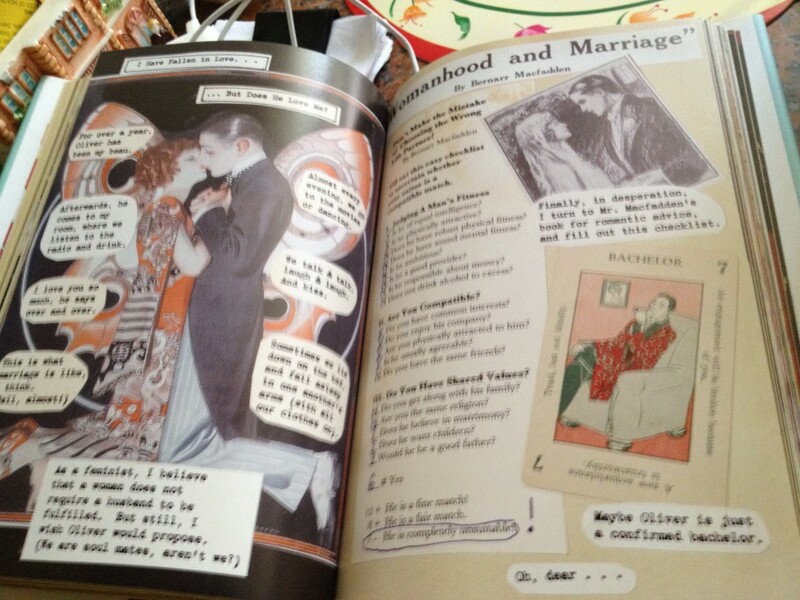 I’m no expert in vintage, but this book just screams it from the cover all the way to the last page, and it made me a bit more interested in the 1920’s (even if I have a feeling I don’t think I can carry a flapper dress, LOL). The story feels just a little bit ordinary. I don’t mean that in a bad way — but if you’ve read the book’s dust jacket, you pretty much know the story save for what happens in the end. It didn’t have that much revelation, and it read like a coming-of-age story, but again, I didn’t find ittoo shocking. But then…life doesn’t have to be shocking to be extraordinary, yes? Warbreaker is the story of two sisters, who happen to be princesses, the God King one of them has to marry, the lesser god who doesn’t like his job, and the immortal who’s still trying to undo the mistakes he made hundreds of years ago. Their world is one in which those who die in glory return as gods to live confined to a pantheon in Hallandren’s capital city and where a power known as BioChromatic magic is based on an essence known as breath that can only be collected one unit at a time from individual people. By using breath and drawing upon the color in everyday objects, all manner of miracles and mischief can be accomplished. It will take considerable quantities of each to resolve all the challenges facing Vivenna and Siri, princesses of Idris; Susebron the God King; Lightsong, reluctant god of bravery, and mysterious Vasher, the Warbreaker. Warbreaker is a story of two sisters. And a god. And another god. And a mysterious guy. Siri is the youngest princess in Idris who avoids responsibility but finds herself in the middle of one when she was sent instead of her sister Vivenna to marry the God King Susebron from Hallandren as part of a deal to save Idris from war. Vivenna sets off after her and finds conspiracies that shocked her sheltered world, and tries to start a rebellion even if she had no idea what she was doing. On the side, there’s Lightsong, the god of bravery who refuses to act like a god and believes that he really shouldn’t be one. And finally, there’s Vasher, a mysterious and powerful person whose real intentions remain a mystery until the end. These characters move in a world where people who die a heroic death get resurrected as gods to be worshiped by the people, where magic can be drawn from colors by use of a breath that can be harvested from a person one at a time. I really liked how the characters were written too. I was rooting for Siri from the start, since she was more of my type of princess, but then Vivenna rose up and she made me love her, too. I liked Lightsong’s quips and Susebron’s personality (one of the surprising things) and Vasher’s mysterious vibe. Even the secondary characters were fun, especially the mercenaries that Vivenna worked with. I didn’t know who to root for, really, except for the five main characters, but I didn’t know exactly how they would all tie to each other until the major revelations in the end. Warbreaker is not just a fantasy novel — it’s also a political one, dealing with how kingdoms work, threats of war and ulterior motives. 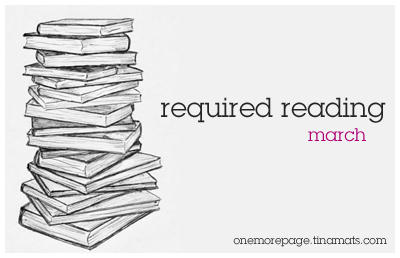 I liked reading about these things, too, but I have to admit that it got a bit dragging at some point in the novel. I felt like it took a while before the action really happened, and it was probably why I lagged behind in reading this. If I wasn’t so invested in it already, I probably would’ve skipped some parts. It could have been shorter, I guess, or some parts of it could have been used to explain some of the lacking parts in the end. 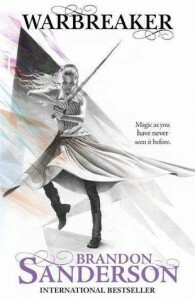 Warbreaker is meant to be standalone at first, I think, but the explanations at the end felt a bit rushed and lacking to really make sense of the history and the whereabouts of all the other characters.The ending wasn’t exactly a cliffhanger, but I thought the story begs for a sequel to answer all the questions left at the end. This book is about me. the girl of my dreams finally falls for me. there are naked women involved. Four of them, to be exact. Though not in the way you might think. Don’t get me wrong — my girlfriend’s amazing. I like reading novels in verse when I feel like I’m reading too slow, like how I have been doing lately. I figured reading this book right after I finish the chunkster that is Jane Eyre would help me cleanse the palate a bit and make me feel better because I read a book a bit faster than how I am currently doing. That’s probably just me, though, so don’t mind me with that quirk. 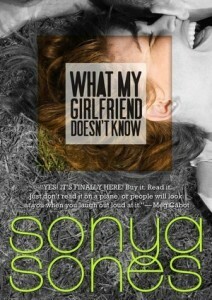 What My Girlfriend Doesn’t Know by Sonya Sones is the sequel to What My Mother Doesn’t Know, another novel in verse that I read and liked last year. Spoiler warning for the first novel starts here. This book is Robin’s story — Robin, the art geek who Sophie falls for at the end of the first book. Robin has always had a crush on Sophie, but he never thought she’d fall for him, until she does. He was ecstatic, of course, until he realizes that Sophie being his girlfriend wouldn’t change his life as much as him being Sophie’s boyfriend rocked her world — in a not so good way. Here the book tries to answer a question that fairy tales with their happily-ever-after’s don’t really get to answer: what happens next? What My Girlfriend Doesn’t Know is both cute and painful. I know that’s a strange combination, but really, those are the two things I thought of while reading it. Robin is a cute narrator, sounding exactly like how I imagined a teenage guy would sound, with all the hormones and insecurities and girls and all that. He’s a good guy, really, but again, he’s also a guy, and the reactions and comments he had here with Sophie and their relationship, and yes, the naked women (with no scrub tops) were very…well, boyish. Robin is not just the art geek who fits the mythological perfect guy who never makes mistakes or never looks at other girls or women — he’s human, but he’s trying his best to be the best person he can be for his girlfriend, even if she doesn’t know so many things about what he’s going through. And that’s the painful part. Robin and Sophie’s relationship isn’t all rainbows and butterflies. Sophie’s reputation suffered because of Robin, and it was painful for Robin to see and hear the things people say about her because of him. I felt their pain, too, and it was just…sad because it wasn’t supposed to be that way. And it was messy, too, because Robin felt that it was all his fault, when really, it’s not. What My Girlfriend Doesn’t Know showed that life goes on after the fairy tales end, and it’s not always “happily” ever after. Good girl Julie never expected her hot former-player boyfriend to propose marriage. But when he did, she turned him down for reasons even she couldn’t figure out. Will she settle for a nice, safe guy instead? Or will she let him find his way back into her carefully guarded heart? Back in college, I was friends with two girls in my org, and we were often called as the Powerpuff Girls because we were always together. Our little group was also known to be the “ate‘s” or the older sisters of the other younger members of the org, which was kind of why we had a kind of impression on others that we always laughed about when we were talking amongst ourselves. Privately, we call ourselves manang‘s (another term for older sisters in some Filipino dialects, but colloquial use refers to being old fashioned older women) because we all have our own levels of being…well, manang. We had levels of being manang based on how people often approach us: one was the ultimate manang because of her strictness (and also because she’s an officer of our org), I come in second because I’m not as strict but not everyone finds it easy to approach me and finally, the last member of our group is the least manang because she’s was just naturally friendlier and the younger members find it easier to confide in her. I can’t help but remember this particular college memory while I was reading Mina V. Esguerra’s latest book, That Kind of Guy. Julie has always been a good girl, and has always done what was expected of her. How she ended up with bad boy Anton was a mystery, even more when he popped the question to her. The only obvious thing to do when he asked her to marry him was to say no — after all, she wasn’t even sure if she knew Anton well enough after 11 months of “dating”. Julie figures there are enough safe guys out there that fit her personality better, but does she really want that? Okay, of all of Mina’s heroines, I find Julie both the easiest and hardest to relate to. I can relate to her manang ways, obviously — about how she does the right things, how she tries to be honest and tactful, about how she tends to play safe. I also couldn’t relate to her because unlike Julie, I’m not exactly friendless because of my (attempts at) honesty. I don’t know if that makes me less of a manang then? Anyway, I think Julie can be either likable or unlikable depending on the reader’s POV, but like Mina’s other heroines, her voice still sounds so authentic that it feels like I’m just hearing a story of a friend over a meal. The hero in the story is a familiar one for those who have read Mina’s old books — he was mentioned once in Fairy Tale Fail and was one of the secondary characters in No Strings Attached. I liked that he showed another side in this book, one that wasn’t really expected based on how we were introduced to him in the previous ones. You don’t need to read the two books to really get into this, though, but it’s nice to be surprised at the depth of his character in That Kind of Guy. While Anton is still not going to top my favorite Mina guy (Lucas of FTF — who has a teeny mention here, squee! ), I was surprised at how much I ended up liking him in the end.